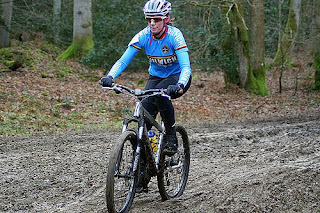 2Wheel Chick: Queens of the Mud! The middle Sunday in February, for many is always reserved as a day where you do something special with your dearly beloved. So that's exactly what I did. 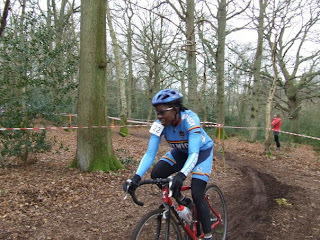 Me and my cyclo cross bike went to a race! 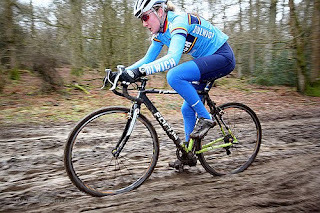 It wasn't any ordinary cyclo cross race, but the London Team Championships. I hadn't been feeling good at all for most of the week, and had to lay off any exercise. If it had been any other cyclo cross I'd have stayed at home. 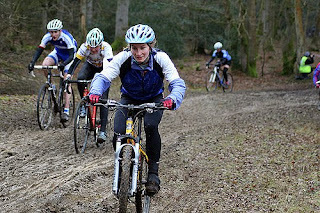 But the team champs has that edge compared to the other London League cyclo cross races. There's that end of term/glad we made it through feeling. You race in a team, and people pull together etc. In the case of the women, there's also a chance of winning something. Last year we won just because we finished! There were no other teams. 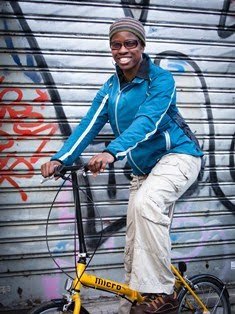 This year we had a little bit of competition as a composite of North London riders raced. 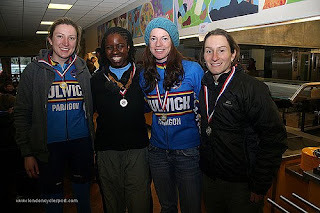 I wasn't in good shape to be competitive, but my team mates Delia, Sophie and Dyanne really held their own. The terrain was tough and very sticky. Dye and Sophie were making their debut in the muddy stuff but they negotiated it beautifully. We all did very well, and for the second year running we were crowned the winners in the women's competition - brilliant! Receiving a medal was even more pleasurable than receiving a Valentines card! 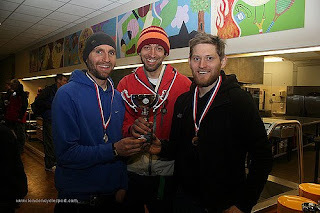 Our men's team also did well, and they managed to romp home as overall team winners. Kevin and Andy also collected prizes for doing well in the season long league. It was a right royal afternoon for Dulwich Paragon.